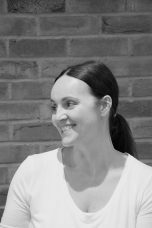 Heidi trained as a holistic massage therapist in 2005 and went on to work in London for many years. Her interest in the benefits of plant aromatics grew from experiencing the benefits of clinical aromatherapy during her own pregnancies. As a result, Heidi went on to study Clinical Aromatherapy and Oriental Medicine at the Institute of Traditional Herbal Medicine & Aromatherapy (London) and Massage in Pregnancy at Well Mother (London) under the guidance of the school’s founder, Suzanne Yates. Heidi’s Practice works to bring these two wonderfully supporting disciplines together. Heidi’s passion and specialism is in supporting pregnant women, from the beginning of trimester 1 through to the postnatal period and beyond. She helps to support the body and mind by alleviating many pregnancy related conditions that can be experienced throughout this wonderful and challenging time. Heidi works inclusively connecting with intuition and care and ensures a safe, nurturing and protected environment for mother and baby. Heidi also works with birthing partners providing knowledge and support during labour and birth. As well as the above Heidi holds qualifications in Level 2 Reiki and Pulsing and typically integrates these therapies into a treatment, creating a true holistic approach to her work. Heidi continues to extend her knowledge and Practice attending conferences and seminars nationally and internationally.